This is the standard format that will be used for the vast majority of your lighting circuit. If you have two way switching (e.g. landing lights with a switch upstairs and down) or intermediate switching the cable format below may be used. 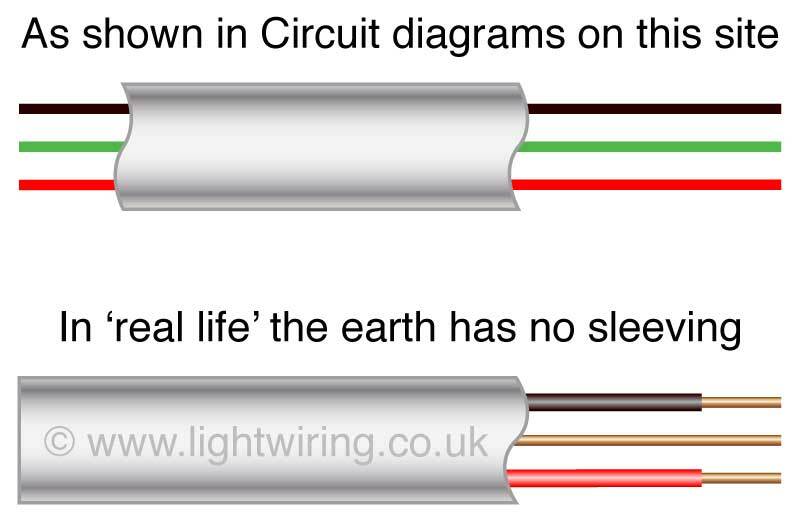 If the wiring in your house is older than the 31st March 2004 and you have had some work done (e.g. 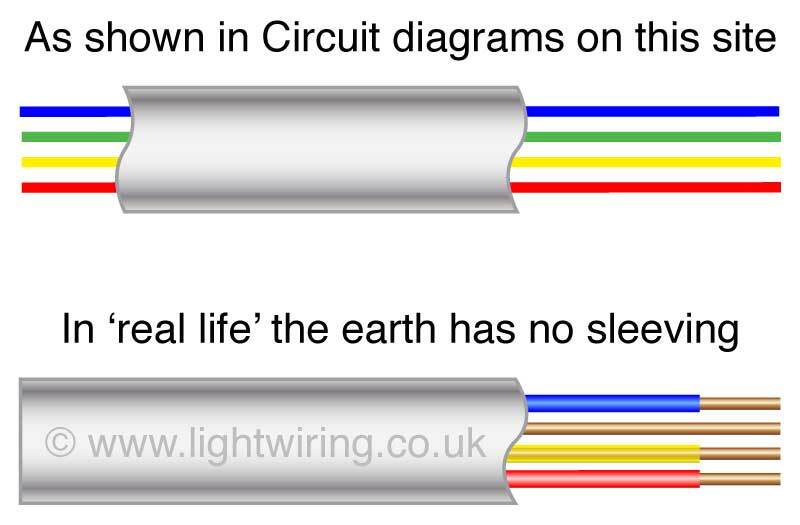 an extension or partial rewire) you may have a combination of the old and the new ‘harmonised’ colours’. On the 31st March 2004 The IEE published Amendments No2. to BS 7671:2001 (the IEE Wiring Regulations) specifying new cable core colours for all new fixed wiring in UK electrical installations. These colours are called ‘harmonised’ colours as they are closely related to those used in mainland Europe. 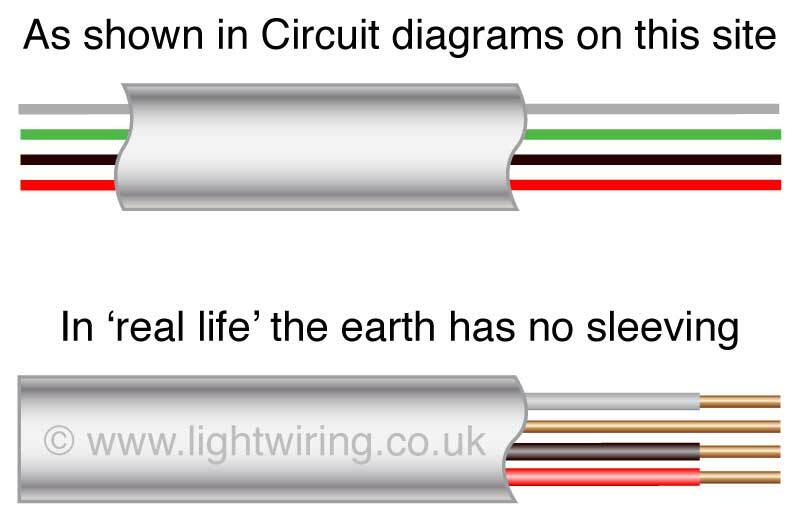 NOTE: the bare earth wire in the cables above should be sheathed with a green/yellow earth sheathing wherever it is exposed e.g. in light switches, ceiling roses, junction boxes, fand use boxes.